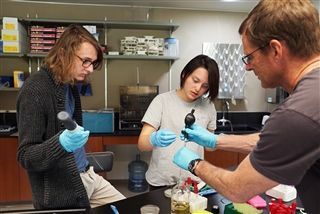 Dr. Grant Hartzog, a biology professor from University of California Santa Cruz, helped students in the upper school research club, Firelabs, start a new research project. Students learned how to isolate and characterize bacteriophage from common soil on December 15. It was a great hands-on learning experience!